Check out this high-definition clip of Beauty and the Beast and you’ll notice, even with YouTube’s compressed 720p HD video, that the picture has improved greatly with better colors and contrast. Beauty and the Beast will be available on Blu-ray Disc October 5, 2010. Guillermo del Toro is set to develop, write and direct Trollhunters for DreamWorks Animation. Originally set up at Disney, the project made its way to DreamWorks Animations thanks to del Toro’s cinematographer, Guillermo Navarro, who encouraged Del Toro to consider the possibilities of working with the company. Trollhunters is based on a book del Toro is currently writing, aimed at young-adults. 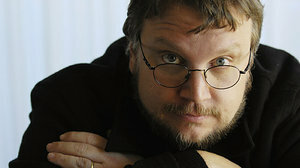 It is expected Hyperion will publish the book, which Del Toro submitted to the publisher two weeks ago. Read more over at Hollywood Reporter. Professor Fletcher’s invention of the CellScope, which is a Nokia device with a microscope attachment, was the inspiration for this short film created by Sumo Science at Aardman. It stars a 9mm girl called Dot as she struggles through a microscopic world. All the minuscule detail was shot using CellScope technology and a Nokia N8. Gnomeo & Juliet is directed by Kelly Asbury (co-director of “Shrek 2”) and features both classic and original songs by Elton John, and the voices of James McAvoy and Emily Blunt as Gnomeo and Juliet. It’ll be in theaters February 11, 2011. In theaters September 17, 2010. Kate and Humphrey are two wolves trying to get home after being taken by park rangers and shipped halfway across the country. Humphrey is an Omega wolf, whose days are about quick wit and snappy one-liners. Kate is an Alpha: duty, discipline and sleek moves. Humphreyâ€™s motto â€“ make â€˜em laugh. Kateâ€™s motto â€“ Iâ€™m the boss. And they have a thousand miles to go. A short sketchbook-style animated film that takes a look at people at a “La Fete Nationale” celebration in Montreal, Quebec.